Last weekend at Fan Expo 2013 in Toronto I caught up with Susan Roman for the following interview. She supplied the voice for Sailor Jupiter for the English dub of Sailor Moon. A big thanks to Susan Roman for joining us. We also got interviews with Linda Ballantyne, who voiced Sailor Moon for the Sailor Moon S and SuperS seasons, as well as Toby Proctor, the voice of Tuxedo Mask for most of the first two seasons. These interviews will be posted to the site in the coming days. We also recorded the Sailor Moon 20th Anniversary Cast Reunion panel which has already been posted to the site. John Stocker, voice actor and voice director, will be making an appearance at the Unplugged Expo convention in Toronto this October 26th and 27th. Though he is probably best known for voicing cartoon characters such as Beastly in the 80s he has also done a lot of voice directing work including the Sailor Moon S and SuperS seasons. Unplugged Expo is having a Sailor Moon 20th Anniversary Celebration with many voice actors from the show already confirmed as guests. Check out the announcement on the Unplugged Expo Facebook page for more information. Fans of John Stocker should check out our interview with him from Fan Expo 2012. 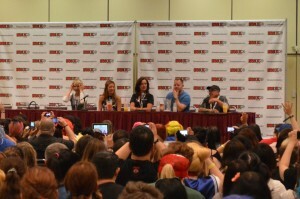 This past weekend at Fan Expo 2013 in Toronto there was a Sailor Moon 20th Anniversary Cast Reunion! This included Susan Roman, the voice of Sailor Jupiter, Katie Griffin, the voice of Sailor Mars, Linda Ballantyne, the voice of Sailor Moon, Toby Proctor, the voice of Tuxedo Mask and John Stocker, voice director for Sailor Moon S and SuperS. Here’s a video of the complete panel that they held on Friday. The Fan Expo staff seriously underestimated fan interest in Sailor Moon so many people were unable to make it into the room which was at maximum capacity. While at Fan Expo 2013 I also managed to record interviews with Susan Roman, Linda Ballantyne and John Stocker. I will be posting them to the site as time permits. I did not neglect Katie Griffin and John Stocker! I interviewed both of them at last year’s convention. It’s August 22nd which is Keiko Kitagawa’s 27th birthday and the date of the release of her photo book aptly named 27. This book features photos of Keiko Kitagawa, best known to visitors of this site as Sailor Mars from the 2003 live action Sailor Moon series, in photos she took in Paris and Tokyo. The book can be ordered from online sites such as Amazon Japan or YesAsia now. The book is currently available with two covers. A limited edition cover is still available on Amazon Japan for now but the standard cover will be the only one available once the initial stock runs out. In addition to this book a making of DVD and Blu-Ray has also been announced. This is a behind the scenes look at the making of 27. It will be released on November 13th. The DVD will cost 3000 yen, roughly $30 US, and the Blu-Ray disc will cost 4000 yen, roughly $40 US. Japanese DVDs are region 2 and therefore can not be played in North American DVD players however Japanese Blu-Ray discs are region A, which will work in North American Blu-Ray players. The latest issue of ROLa Magazine in Japan includes an interview with Naoko Takeuchi, the creator of Sailor Moon. This interview is a rare treat as Naoko Takeuchi very rarely makes public appearances having done next to no publicity since Sailor Moon went off the air over 15 years ago. Her editor Fumio Osano also participates in this interview. The magazine interview is in Japanese but luckily the hard working people at Miss Dream have translated the interview for English fans to enjoy. So go ahead and check it out for some great insight into the early concept of Sailor Moon. This is only the first part of the interview. The second half will appear in the next issues of ROLa. I’m sure the staff at Miss Dream will be bringing us a translation of that as well. Some interesting things are learned from this interview. I never thought of Tuxedo Mask as a parody of a character and who knew old men would lobby for less attractive female characters? The schedule for Fan Expo 2013, the convention taking place August 22nd to the 25th, has been released online. In it we see that the “Sailor Moon 20th Anniversary Cast Reunion” panel will be taking place on Friday afternoon at 2:30pm so if you’re not a big fan of Richard Dean Anderson I suggest you cancel all other plans and make it to that panel! As we mentioned previously there will be many guests from the Sailor Moon dub in attendance at the convention. 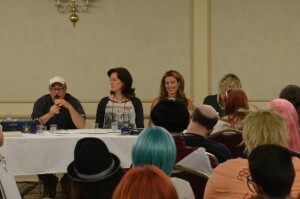 The panel will include Toby Proctor, the voice of Tuxedo Mask, Linda Ballantyne, the voice of Sailor Moon, Susan Roman, the voice of Sailor Jupiter, Katie Griffin, the voice of Sailor Mars and John Stocker, voice director for the series. There are no autograph sessions listed for any of these actors. 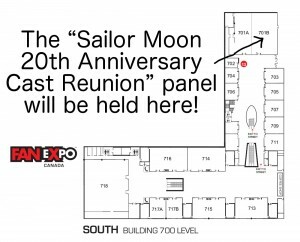 The Sailor Moon guests have spots at a table in a hall on the same floor at the Expo Hall. If it’s anything like last year attendees will be free to approach them for autographs throughout the weekend while they’re at their tables. 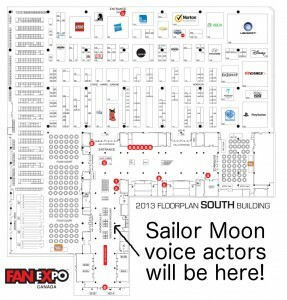 Check out the area that says “Cartoon Voice Actors” on the floor plan to find your favourite Sailor Moon star. The panel will be taking place in 701B which you can see from the floor plan is located one floor up from the main expo hall at the far end of the hall with the main elevators. 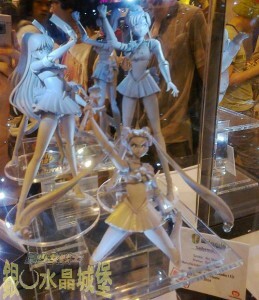 A few weeks ago we had our first look at the Sailor Moon prototype for Legend Studio’s line of figures at the ACG HK 2013 convention. 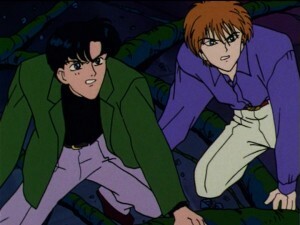 Sailor Mars and Jupiter’s prototype figures, seen in this picutre, were unveiled the next day. 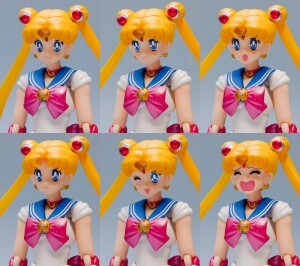 I had no idea this had occurred until I read about it on Sailor Moon Collectibles yesterday. This image comes from this Chinese page on the Japanese Geocities. That’s right, in Japan Geocities is still a thing. 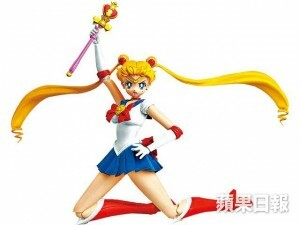 We also now have a better look at the Sailor Moon figure in colour courtesy of NextMedia. We previously saw what this figure looked like from a photo of a standee but now we have a photo of the actual figure. Great news for Florida Sailor Moon fans! Rino Romano, who was the original English voice of Tuxedo Mask, will be at Anime Festival Orlando 14 this coming weekend, August 16th to the 18th. The convention is only a few days away but you can still register online or at the door. 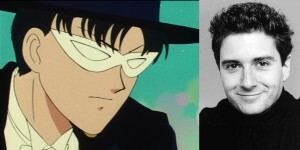 Rino Romano did not voice Tuxedo Mask for a terribly long time but he was the first! 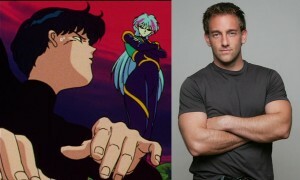 He voiced Tuxedo Mask or Darien for a total of 12 episodes. 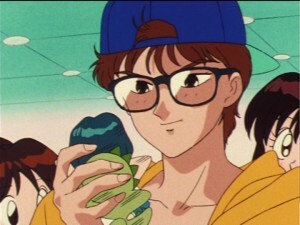 He voiced him in the first 11 episodes as well as voicing just Darien in the first episode of Sailor Moon R which was recorded out of order as a sort of pilot. He also voiced Game Machine Joe who was a guy with telekinetic abilities due to having the first rainbow crystal inside of him. Yes, this is a big deal for all of those rabid Game Machine Joe fangirls! Does he look like your old boyfriend? With that playing by his own rules attitude about super powers, backwards ball cap and tight fitting high waisted acid washed jeans! He could pass for a proto hipster with those black rimmed glasses! I hope all the Game Machine Joe cosplayers have got their Real D 3D glasses set aside for this con! Bandai’s Sailor Moon S. H. Figuarts figure is now out in Japan! 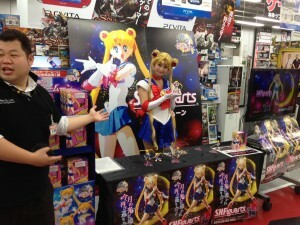 Bandai’s S. H. Figuarts Sailor Moon figure has hit stores in Japan. A few people have already gotten their hands on the figure and so there are a lot of pictures of it surfacing online. We’ve got a look at some of the packaging and all the individual pieces as well as a ton of other photos on this Japanese blog post. As we had previously seen there are a lot of different swappable faces. Here is a good look at all six of them.